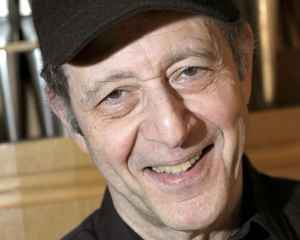 Steve Reich (October 3, 1936, New-York City, USA) is a composer. He studied composition privately with Hall Overton, then moved on to Juilliard School in New-York to study with William Bergsma and Vincent Persichetti (1958 to 1961). Subsequently he attended Mills College in Oakland where he was taught by Luciano Berio and Darius Milhaud (1961-63) and earned a master's degree in composition. Early on, Reich was influenced by fellow minimalist Terry Riley's loosely-structured aleatoric works which combines simple musical patterns, offset in time, to create a slowly-shifting, cohesive whole. Reich adopted this approach to compose his first major work written in 1965: "It's Gonna Rain..." Reich moved on from the "phase shifting" technique he had pioneered to more elaborate pieces. He investigated other musical processes such as augmentation (the temporal lengthening of phrases and melodic fragments). Reich's mother is the Broadway singer and lyricist June Carroll. Group 180, Reich*, Faragó*, Soós* Group 180, Reich*, Faragó*, Soós* - Il. Reich is simply the best on contemporary classical music. His early works have been a really deep influence on techno, check out "Piano phase" or "Violin phase" and get rid of the fact that what you thought was "avant garde" is already 30 years old. So groovy, so emotional, so charming..enigmatic and soulful. Hard to explain in words, the Reich experience is something you must live at your own. I am surprised no-one has commented on Steve Reich yet. His earliest pieces "Come Out" and "It's Gonna Rain" were some of the earliest uses of tape loops in experiemntal music. They are probably the earliest releases to be comprised entirely of the spokem word cut-up and looped. His other style of compositions -- instrumental -- is a whole other thing. Take "Six Pianos" for example. At any given time, 4 pianists are all playing very similar parts. Progressively, one part changes just a few notes here and there, then another changes. What you have is a slow metamorphosis of notes in a very solidly repeating piece. It is very hypnotic.